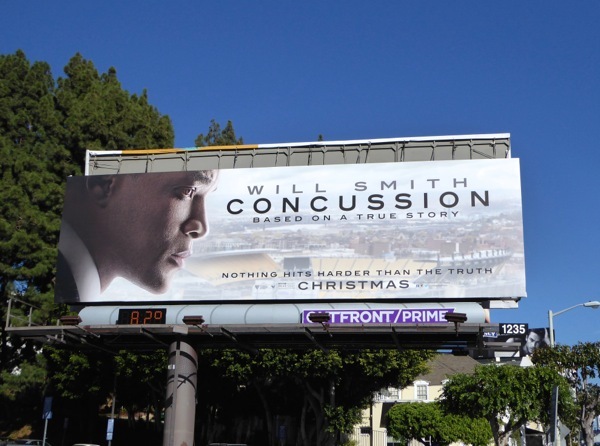 Will Smith's new film Concussion may be based on a true story, but it's not a particularly cheery movie subject for the Holidays. 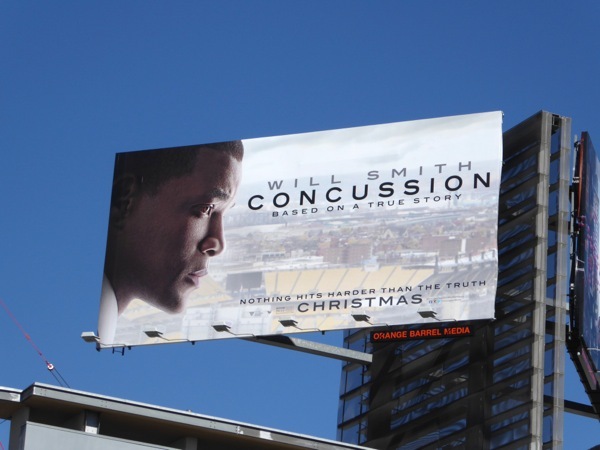 Fortunately this sport drama set in Pittsburgh, where a forensic pathologist who uncovers the truth about the serious brain damage that professional American Football players suffer during the course of normal games, has already garnered a Golden Globe nomination for Will Smith as Best Actor for the doctor who takes on one of the most powerful sporting institutions in the world. 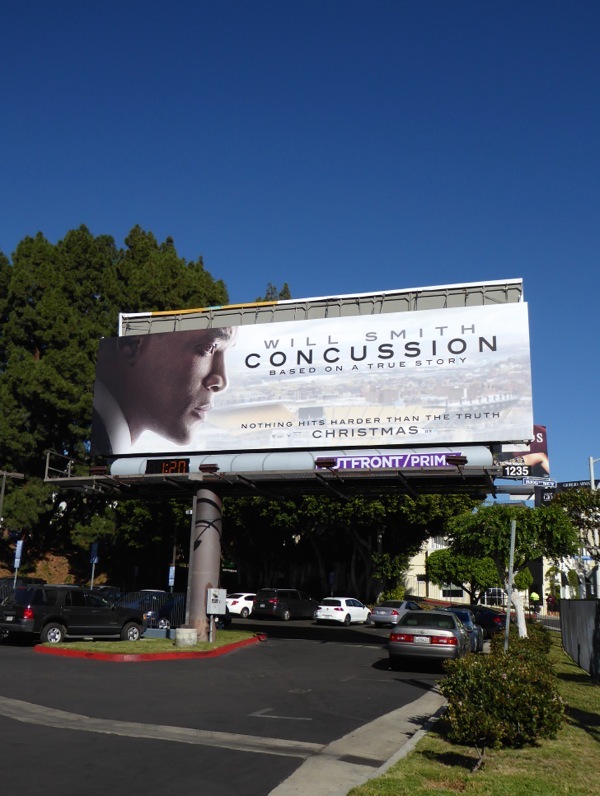 These Concussion movie billboards were first snapped along West Hollywood's busy Sunset Strip on November 12, then later along Highland Avenue and at Sunset & Vine through December 2, 2015. 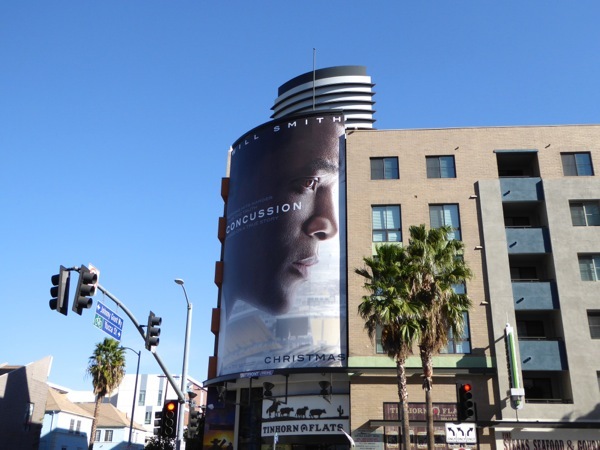 If you're a fan of the actor, you can also check out Will Smith in these Focus movie billboards, these Men in Black 3 movie billboards and these After Earth film billboards. 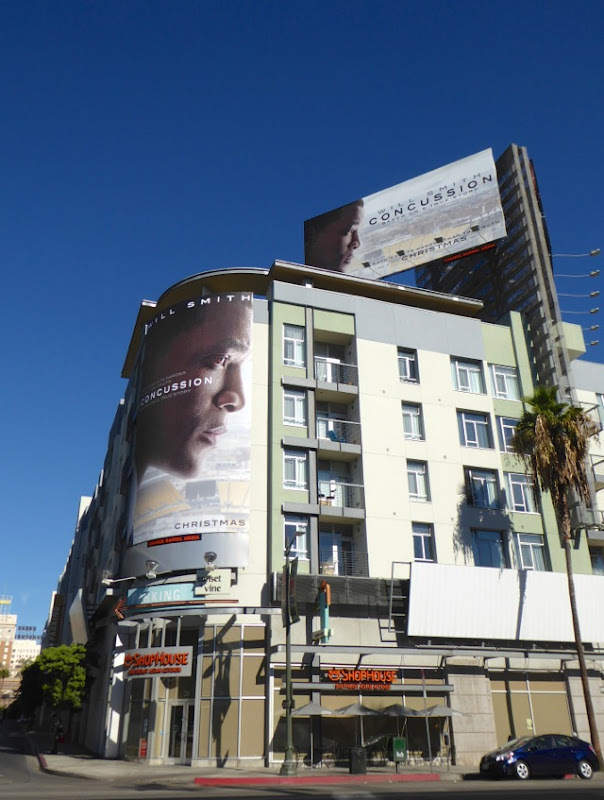 Let's see if this real-life medical drama about one of America's favourite sports can capture the hearts and minds of cinema goers, or whether another of the films highlighted this MOVIE WEEK will steal the winning touchdown this festive season.